Now more than ever, reliable document shredding and disposal is a must for your company. Identity theft and corporate espionage tactics are becoming more prevalent and having a professional, reliable company like Gone for Good on call is an invaluable asset. Gone for Good can handle both on-site and off-site document shredding and disposal. In addition, the company provides e-waste recycling services. That means if you need to get rid of old computers or company cell phones and want to do it in an environmentally friendly manner, Gone for Good is the company to call. The business services that Gone for Good provides, however, are just one part of what makes this a special company. They also serve a higher calling by providing meaningful employment for adults with intellectual and physical disabilities. Gone for Good is a proud participant in the AbilityOne® program through SourceAmerica®. This program requires that at least 75 percent of total company labor hours be performed by those with significant disabilities. Gone for Good has been a part of this program for eleven years and has helped many physically and intellectually challenged adults to secure competitive jobs and improve their quality of life. You might also like: Have You Tried Topgolf Yet? 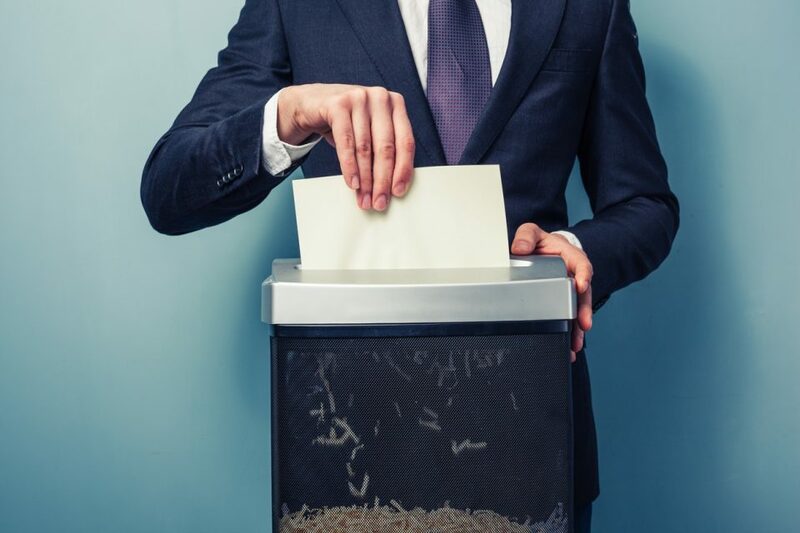 It’s a fact that you need a dependable and reliable document shredding source for your business, so why not utilize an organization that serves the greater good, as well? Get a quote on your on-site or off-site shredding and disposal needs through Gone for Good. The company also offers outsourced clerical, packaging, and sorting services for Birmingham, AL area businesses. Our Birmingham, AL Ford and Lincoln dealership utilizes Gone for Good’s services and supports their mission. We’re proud of the work this organization does to help serve the community at large.